Berkshire Hathaway HomeServices Kay & Co, formerly Kay & Co, had a momentus year in 2018. The prime London estate agency signed a franchise agreement with Berkshire Hathaway HomeServices, the Warren Buffet owned, leading real estate agency in the USA and took away Property Story of the Year at the 2018 London Magazine Awards. Elevate PR immediately set to work with a PR campaign to announce the arrival of Berkshire Hathaway HomeServices Kay & Co to the UK, reaching out to national and international media outlets. The campaign resulted in the generation of over 300 pieces of coverage around the world, including headline articles in The Times, City AM and Wall Street Journal. The glittering launch party at The Gherkin was attended by hundreds of individuals including property experts, clients and the media, who all came to celebrate the announcement. Elevate PR submitted the successful campaign to The London Magazine for consideration in the Property Story of the Year category. Berkshire Hathaway HomeServices Kay & Co won and we are absolutely delighted to have delivered such a successful award winning PR campaign and contributed to the company’s successful launch in the UK. We are delighted to announce that Newcourt Residential, have appointed Elevate PR to handle their PR. 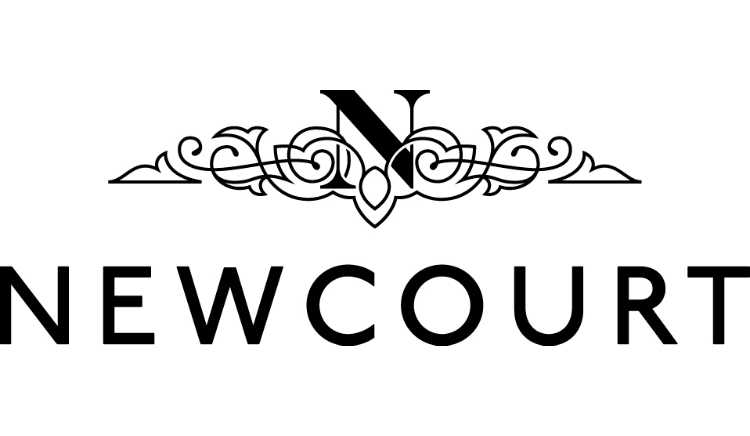 Established in 2011, Newcourt Residential is a leading luxury developer with a difference. Founded by three brothers who all share a passion for unique and beautiful property, the company specialises in the restoration and conversion of historic buildings and the creation of new homes across the South East of England. Newcourt’s enviable reputation is the result of its professional, highly skilled team, who deliver homes which are completed with meticulous attention to detail and finished with Newcourt’s signature high specification interiors. Situated in some of the most highly sought-after locations, Newcourt has an array of exciting new developments in the pipeline with a series of new launches set to take place in 2019/2020. Current schemes include Wadhurst Place, the refurbishment of a Grade II Listed manor house and new family homes, set within an AONB in Sussex; and Orchard Lea, a collection of four luxury houses set within a converted manor house and 10 new apartments in desirable Windsor. We are delighted to announce that Harrods Estates, the real estate offering of global brand, Harrods, have appointed Elevate PR to handle their PR. With three offices in Prime Central London, Harrods Estates are specialists in luxury property. The new appointment marks continued growth for our company. Elevate PR will commence PR activities from 1st November. We are proud to welcome Phoebe Bagge, to the team. Phoebe joins as Account Executive having graduated from Bournemouth University as a qualified Public Relations practitioner with a Hons degree after studying for four years. Her background includes working in automotive inhouse and luxury agency, with clients in the food and drink industry as well as fashion. With a year’s experience working for Honda UK during her placement year as their Corporate Affairs Assistant, Phoebe developed an understanding of PR strategy, communications and event planning. She worked with a range of top publications, gaining a repertoire of news coverage and building relationships with important press from around the world. Phoebe has a passion for communicating in new and creative ways whether its pitching proactively to national press or managing social media accounts. Her personable approach with clients and press and love of property makes her a great asset to the team at Elevate PR. The signing marks the second global franchisee of Berkshire Hathaway HomeServices following Rubina Real Estate of Berlin in May. Kay & Co plans expansion in the prime central London market through acquisitions and joint ventures with best-in-class agencies, and the addition of up to 10 standalone offices over the next decade. Kay & Co, founded in 1982 by Chairman Samuel Bikhit, remains independently owned and operated. It serves London’s upscale Mayfair, Hyde Park, Marylebone, Regent’s Park, King’s Cross, Bayswater, Paddington and West End districts. 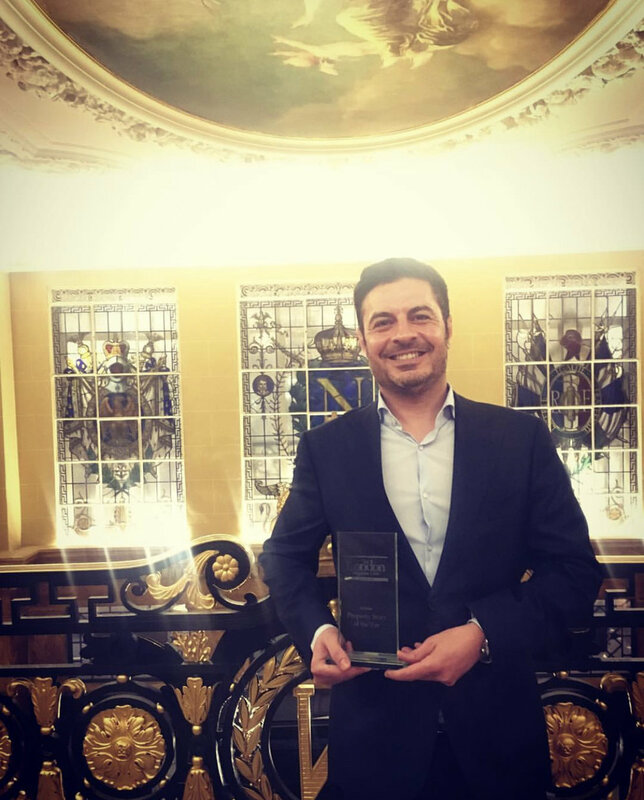 The estate agency was recently named “Smaller Managing Agent of the Year” at the prestigious ARMA ACE Awards, which recognize the U.K.’s leading residential asset managers and suppliers. It is also a perennial honoree of the British Property Awards, a recognition program that ultimately helps consumers choose estate agencies. With their network membership, Kay & Co gains access to the brand’s Global Network Platform, a powerful tool suite driving lead generation, marketing support, social media, video production/distribution and more. The brand also provides global listing syndication, relocation referrals, professional education and the exclusive Luxury Collection marketing program for high-end listings. Kay and Co will commemorate its brand membership in November at a gala celebration in London attended by agents, guests and representatives from Berkshire Hathaway HomeServices. 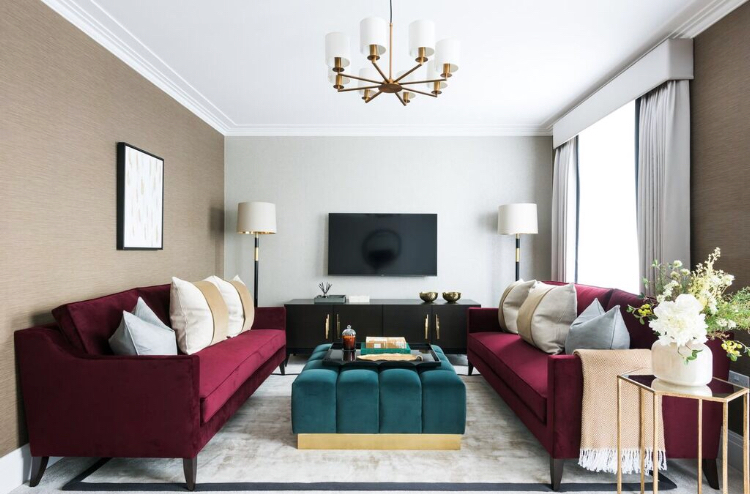 We are delighted to be working with up-and-coming interior design firm, Vesta Interior Design and in June, we launched the company to the media, showcasing its exceptional track record and it’s incredible growth achieved in its first year of business. The results included coverage across a range of property, interior design and national titles. Our aim for this client is to position them amongst its peers and assist in the generation of new business for the company with both B2B and B2C customers. We we are working closely with the Managing Director, Chris Dale, to build and maintain an outreach via PR over the coming months and years. Buyers are seeking out dilapidated properties in London, according to award winning buying agency, Black Brick. The new trend comes as buyers look to find the best possible deal on their London home, enabling them to achieve better value for money and improved potential to achieve long term capital growth. The buying agency has reported that wealthy individuals are currently reluctant to pay £4,000 – 5,000 per sq. ft. on a new luxurious property in prime central London and are instead purchasing distressed apartments and houses which can be renovated, minimising risk and increasing their value. Camilla Dell, Managing Partner at Black Brickcommented: “We are seeing an increase in properties coming onto the market which are being sold because a family member has passed away or that have been in a family for 20-30 years and handed down to the next generation. Although it is a buyers’ market at present, these properties have still gone up in value considerably since they were purchased many years ago and therefore sellers are willing to take a deal or reduced rate on their home. Camilla added: “There are some excellent deals to be had at the moment, particularly from vendors who are highly motivated to sell. That’s why as buying agents, we always find out who the seller is, and what their reason for selling is. This enables us to negotiate far better discounts for our clients. We are also seeing some great discounts being applied to new build properties which are due to complete in the next 2 or 3 months and the seller is wishing to flip it before completion. Some are even willing to take a significant loss in order to not complete on the property and face having to pay stamp duty. We were proud to arrange the launch event for the London landmark, Hornsey Town Hall in Crouch End on behalf of our client, Far East Consortium. It was a fantastic day, the sun was shining and we had arranged for the whole community to come along and enjoy themselves as well as have the opportunity to visit the new marketing suite and find out how the redevelopment of the Town Hall will transform it into a new destination. Visitors enjoyed live music from an acoustic guitarist, while sitting in deckchairs enjoying the glorious weather. Complimentary proper tea and coffee was served from a pop up stall by Cafe Pronto, while nibbles were served throughout the day and a bubble man entertained the children. The event was so successful the first release of new homes sold out in the first day. Built in 1935 to house Hornsey Borough Council, Hornsey Town Hall is one of the earliest examples of modernist architecture in Britain. In its new life Hornsey Town Hall will provide an extremely rare opportunity to live in a new development, steeped in history, with many of the original features remaining untouched. Yesterday evening, Tuesday 15th May, saw us attend the 2018 Property Press Awards and what a fantastic evening it was. Held at City Hall, the awards were attended by highly regarded journalists, Editors, industry professionals and PR specialists who were all excited to find out who the winners were this year. We sipped bubbly and nibbled canapés whilst catching up with many of our colleagues, contacts and friends. Our client, Camilla Dell, Managing Partner at award winning buying agency Black Brick, was proud to judge an award at this years event. We would like to congratulate all of the winners on their success!